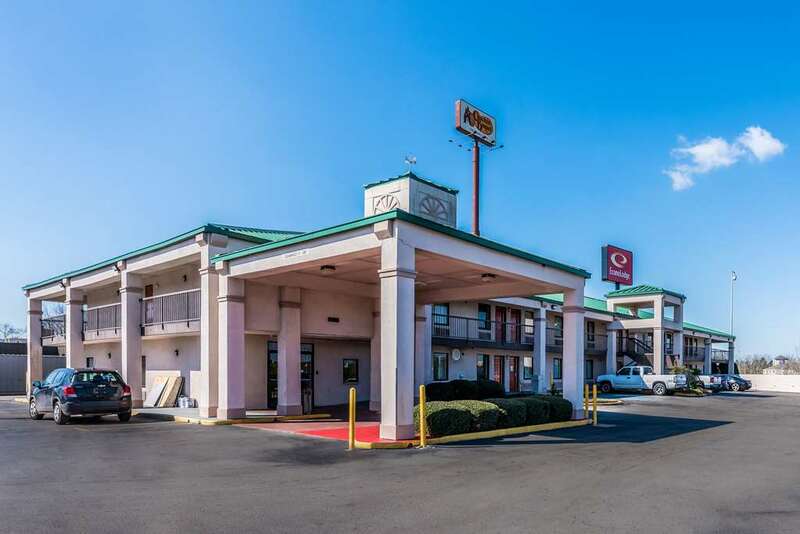 Our pet-friendly hotel in Athens, AL is easy to find, easy to book and easy on your wallet. Amenities include free WiFi, free Easy Starts continental breakfast, meeting space, an outdoor seasonal pool and guest laundry service. Guest rooms feature refrigerators and microwaves, premium bedding, work desks, flat-screen TVs and coffee makers. When you are looking for a discount, hotel accommodations at the Econo Lodge offer the basics on a budget. We are an easy stop on the road near the Alabama Veterans Museum, U.S. Space and Rocket Center, Athens State University, Athens-Limestone Hospital and Macs Sports Bar and Steakhouse. Plus, when you stay at our hotel in Athens, AL, you earn rewards, including free nights and gift cards, with our Choice Privileges Rewards program. Pets allowed 10.00 USD per night. Max 40 lbs, 3 pets per room. America's space armada and impressive contrail of rocket and NASA history artifacts, including a full-size Space Shuttle and two Saturn V rockets. Five Points, Tennessee: The Big Red Store - Coffins, Moon Pies, etc. Former World's Largest Country Store closed in 1950, was revived as a museum/soda fountain in 2006 to remind of the convenience of buying your ice cream sundaes and child-size coffins in the same building. "The Sunbonnet Heroine of the Confederacy" was a noble maiden who, on May 2, 1863, helped chase the Yankees out of Alabama. At least for a little while.